Fiamma Kit VW T5 Transporter Multivan for installation of Fiamma F45S awning to VW Transporter T5 vans. 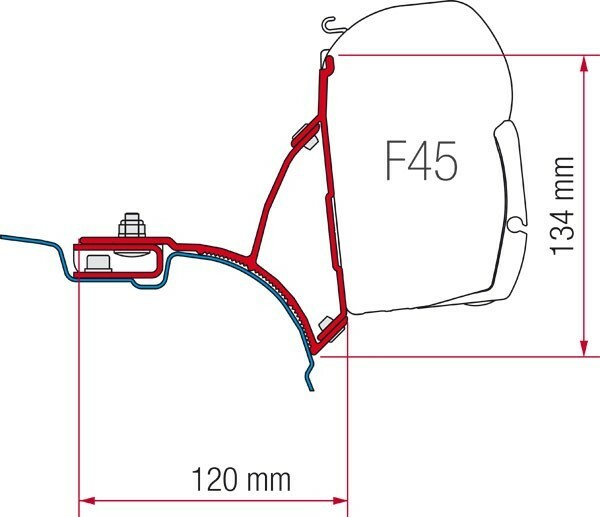 The bracket, which is supplied in two pieces provides a practical position for the F45S awning just above the sliding door. This bracket set fits to the factory original bolt mount points intended for fitting a roof rack to the T5. It is necessary to have access to the front AND rear bolt points and a roof rack can NOT be fitted at the same time.